January 22, 2011 (Syracuse, NY) – UPDATE! At the ‘Say Yes Day’ celebration event, held on January 22 at the CNY Philanthropy Center, SRC announced it will contribute a $5 million corporate matching gift to the Say Yes to Education Scholarship Fund, adding to the already available $ 2 million matching pool provided by the Central New York Community Foundation and the Say Yes to Education Foundation. Each of your donations to the fund, now up to $7 million, will be matched dollar-for-dollar! Text COLLEGE to 27722 to donate $10 with your phone or visit the online donation page to give online. On Saturday, Jan. 22, Syracuse University fans will pack the Carrier Dome as the Syracuse men’s basketball team takes on the Villanova Wildcats at noon. Also on Jan. 22, the University will enthusiastically celebrate its first-ever “Say Yes Day” in an effort to raise money for the Say Yes to Education Syracuse program, the largest school improvement program of its kind in the nation for more than 22,000 students in the Syracuse City School District (SCSD). Players, coaches, cheerleaders and thousands of fans will be decked out in bright orange Say Yes gear to raise money for the Say Yes program. In 2009 alone, the Syracuse Say Yes fund provided nearly 1,000 qualified SCSD graduates with free tuition at colleges and universities participating in the Say Yes program. On game day, fans watching the nationally televised SU/Villanova basketball game can support the Orange and Say Yes by purchasing and wearing one-of-a-kind $10 T-shirts available for purchase at the SU Bookstore prior to the game, and at the Dome. All proceeds from T-shirt sales will go toward the Say Yes program. Fans at home and at the Dome can also donate $10 by participating in the “Say Yes Text to Donate” campaign by texting “COLLEGE” to 27722. All donations will be matched dollar-for-dollar, up to $2 million dollars, by the Central New York Community Foundation and Say Yes to Education, Inc. 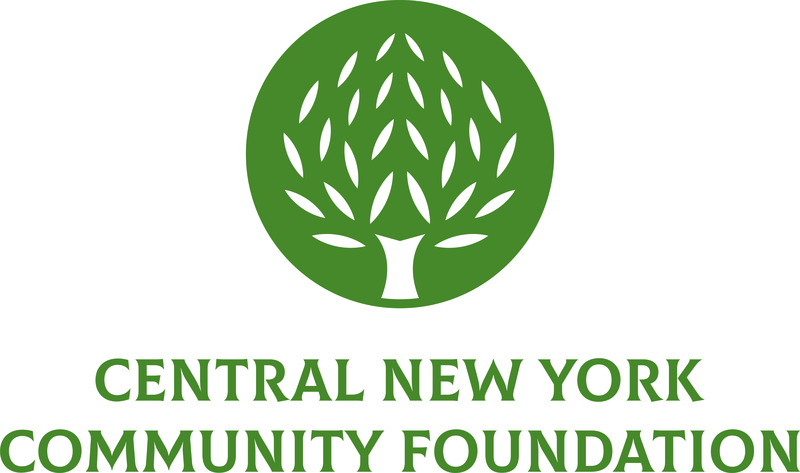 The CNY Community Foundation connects donors with community needs by making grants to organizations working to enhance the quality of life of those who live and work in Central New York. You may donate online here. Say Yes game-watching parties will be held in homes, community centers, schools, businesses and restaurants throughout the city. Fundraisers for Say Yes will be held at all of the sites. More than 30 participating restaurants and organizations will also donate a percentage of their sales to Say Yes. On the morning of Jan. 22, several presidents from the colleges and universities participating in the Say Yes to Education program, along with other corporate sponsors and community leaders, will gather at the Central New York Philanthropy Center in downtown Syracuse for a reception to celebrate the success of the Say Yes program, and announce some exciting news. George Weiss, founder of Say Yes to Education, Inc.
Mary Anne Schmitt-Carey, president of Say Yes to Education, Inc.
Say Yes is a landmark collaboration that brings the Syracuse City School District, Syracuse University, Say Yes to Education, Inc., the Syracuse Teachers’ Association, the Syracuse Association of Administrators and Supervisors, the City of Syracuse, Onondaga County, the American Institutes for Research and a diverse group of Syracuse area corporate, nonprofit, and philanthropic organizations together to organize people, time, money and resources to support city students. Syracuse is the first community in the United States committed to ensuring that all public school students can afford and succeed in college. Other cities have Say Yes chapters, including Philadelphia; Hartford, Conn.; Cambridge, Mass. ; and New York City, but Syracuse is the first city to implement the Say Yes program district wide. Students who attend 10th, 11th and 12th grade and graduate from a Syracuse City School District high school are eligible for free college tuition at more than 100 Say Yes compact colleges in New York state. Say Yes to Education Syracuse is a chapter of Say Yes to Education, Inc., which is a nonprofit organization that pledges a college education to students who graduate from high school in high-poverty areas where graduation rates are historically low. Say Yes provides comprehensive supports, including the promise of a full college education, aligned with what research indicates is needed to enable every child in the program to achieve his or her potential. You may donate online here.